I visited Havelock back in April 2017 and discovered Full Moon Cafe as a result of much stay-hunting. Being weary after a ferry ride, going the entire stretch of Havelock island to find a place to stay way after dusk, and having eaten nothing, we stumbled across this cafe. 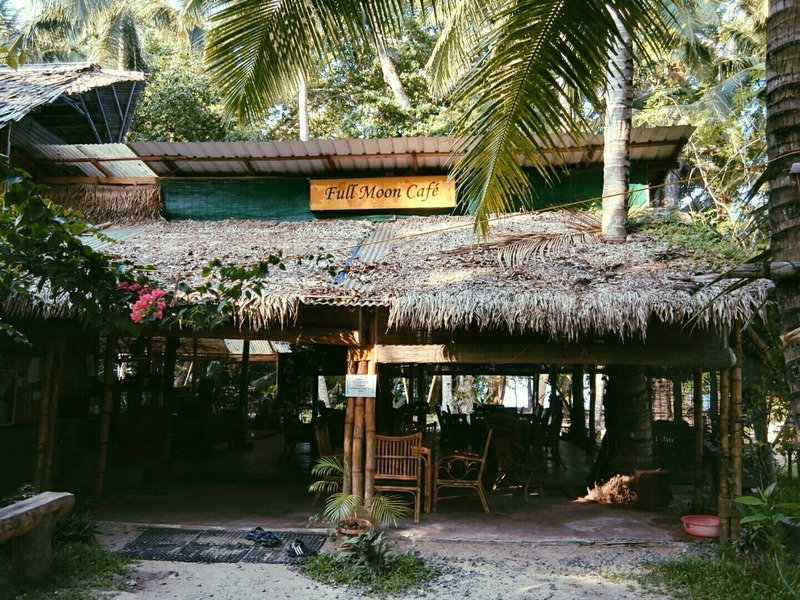 Located on the main Havelock highway, it's a part of the Dive India camp as well. The cafe is spacious, lively, and comfortable. There's enough space for divers at Dive India, as well as other people staying on the island. The manager on the floor was a wonderful man, who made some good suggestions about the island, some good music, and even shared his story. What I loved was how the staff remembered and asked me and my friends if we didn't all walk in together - all in a matter of two days. There were wonderful people from all over; books to grab and laze in a hammock with; board games galore and two dogs who come and go. And of course, the beach right outside. The food was delicious with great portion sizes. Their masala chai is a must-try. The cafe is also open till late, so for anyone who needs to grab a dinner post 9.30 pm, this would be the place to go. Find your way here for breakfast. You won't be disappointed.